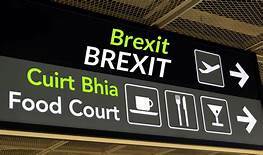 Twenty nine months after the Referendum vote in June 2016 we enter the start of the end. Last week was a remarkable week and an example, if one were needed, of how ludicrously out of touch with the rest of the country and how focused upon itself Westminster can be. This is, of course, in part because it is the various wings of the Tory party who are making the headlines. 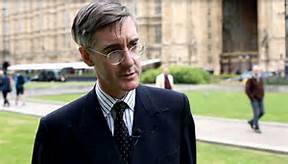 Never, since the ’80s, very concerned about parts of the country beyond their core constituency, their safe seats in Tory shires allow the Jacob Rees Moggs of this world (MP North Somerset) to concentrate on increasing his influence at Westminster while increasing his fortune. An e-mail currently sitting in my inbox is advertising the ‘security against Brexit uncertainty’ of placing money with the Dublin offices of various hedge funds including Somerset Management, set up by Mr Rees Mogg and a beneficiary of the rising levels of uncertainty he is busy fomenting. This isn’t co-incidence. The latest set of e-mails submitted to the Parliamentary Committee investigating fake news, which originate from Brittany Kaiser, ex-Cambridge Analytica employee, show how Steve Bannon, Robert Mercer, Aaron Banks and others were in discussions about US funding for Brexit long before the Referendum. Political donations from foreigners are illegal under British law. According to Emma Briant, Essex University academic who made the e-mails available, ‘This chain of e-mails… brings together…hard documentary evidence that foreign funders and transatlantic interests and UKIP and Bannon and data and money are all being discussed. And it’s really striking how their desire to influence politics and simultaneously make money completely overlap.’ Mr Rees Mogg in a nutshell. Nonetheless. 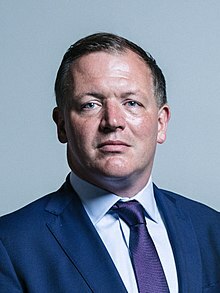 as he stood on the steps of the Palace of Westminster last week he lectured a journalist on ‘our democracy’ while standing next to Steve ‘we can spend as much money as is necessary to win the referendum’ Baker MP. The amount any given campaign can spend during an election/referendum is limited by UK law. Mr Baker claimed on Thursday lunchtime that his claque of hard Brexiteers had the 48 letters of no confidence needed to drive a leadership election. Later that day he said that they almost had the 48. By close on Friday the chair of the 1922 Committee, the man who would received the letters, said he did not have said number. So, it seems, Mr Baker lied about that, just as Brexiteers lied during the campaign. UK readers of this blog may recall the drop in MMR vaccination rates caused by Alan Wakefield’s claims in 2000 that the MMR vaccine was linked to autism in children. Only later did it emerge that the doctor had received money to promote this position. He was also found to have distorted scientific findings. Fortunately he was found out, struck off the register of practitioners and barred from ever practising medicine in the UK, but who knows what damage this did to individual children who, otherwise, would have been given the MMR vaccine. For him, it was about the money, he didn’t care what damage was done to people’s lives. A direct analogy with Rees-Mogg and the Robert Mercers and Barclay brothers of this world. They want money and the power it gives them. They don’t care how many lives they destroy along the way. Hasn’t the British public sussed them yet? And they ( “this kind of people” ) have created wars and all disasters in the this planet since the beguining of times… Am I being very naïve ? P.S. Steve Bannon is in Europe and he’s organizing extreme right wing groups for coming elections in different countries.